So Who Is This Conference For? 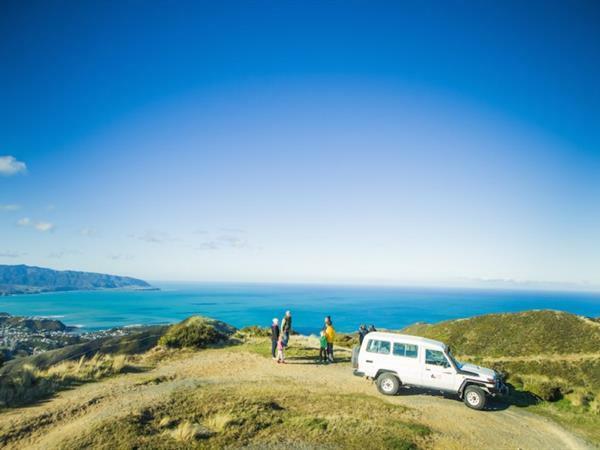 Seal Coast Safari – Wellington Tours offers exclusive tours to Wellington’s rugged coast line, offering sublime views, exclusive access to private farm land, and the chance to encounter New Zealand fur seals up close and personal. Come and enjoy the best Wellington has to offer, and have a cup of coffee and gourmet muffin with the seals, whilst taking in the true beauty of Wellington. To View Seal Coast Safari's Website, Click Here. The Wellington Pride Festival | Tū Whakahīhī e Te Whanganui-ā-Tara is a two week long festival celebrating the LGBTTIQ+ community in Wellington. The festival is inspired by Wellington's rich history of queer fairs and festivals, and showcases the incredible talent, hard work, and creativity of Wellington's queer community. Wellington is a wonderfully diverse city, and the Festival programme is a celebration of this diversity. Jill Fraser of Martinborough Wine Tours invites you to join a luxury wine tour experience you'll find both pleasurable and educational. International guests love the stories of nationhood and heritage as told at the Museum of New Zealand Te Papa Tongarewa. Te Papa is New Zealand’s bold and innovative museum and a recognised world leader in interactive and visitor-focused museum experiences. Wellington is made for mountain bikers. The hilly, bush-clad landscape makes for exhilarating riding, and with 350km of mountain biking trails right on the city's doorstep, adventure is never far away. Waka Tours are a unique and active Māori cultural experience onboard a waka (Māori canoe) and the Wellington harbour/waterfront. One of Wellington’s most popular tourist attractions, the Wellington Cable Car runs from downtown Wellington to the picturesque suburb of Kelburn and Wellington Botanic Garden. Weta Cave is the shop front of the world famous Oscar-winning Weta Workshop. Here visitors can view a selection of props, pick up collectables and watch an exclusive behind-the-scenes film in their mini thereat. Just 10 minutes from central Wellington, Zealandia is a must-see eco-attraction and groundbreaking restoration project: a nature lover's paradise and a sanctuary by the city! » So Who Is This Conference For? » What's on in Wellington?